Highlighting Creative Management Solutions, One Invasive Species at a time. Invasive species are wreaking havoc in every corner of the world, causing $1.4 trillion in damage annually. In the United States, 42% of Threatened and Endangered Species are at risk due to invasive species, and the situation is only getting worse. Invasive species are organisms that have been introduced into an area where they don’t belong, and are negatively impacting the ecosystem, the economy, and human health. Pythons are gobbling up birds and alligators in the Everglades, Zebra mussels are clogging up the Great Lakes, and Africanized honey bees (aka killer bees) are attacking people and pets alike. And that’s just to name a few. People are getting creative. Whether it’s serving invasive lionfish on restaurant menus, marketing nutria fur as a fashionable new product, or involving school kids in weed removal programs, locals are developing unique approaches to getting rid of these pesky invaders. Fortunately, community-based grassroots control methods are showing promise: local eradication projects are three times more likely to succeed than regional projects, and eight times more likely to succeed than nationwide projects. But most local management is isolated – few people outside of the community are aware of these inventive techniques. That’s where the Invasive Species Initiative comes in. The goal of ISI is to use photos, articles, videos, and social media to highlight those individuals and groups who are developing innovative approaches to invasive species management. Processing seafood samples this weekend from dozens of local middle and high schoolers! Thanks to a grant from @wdhof, I put together these kits for students to collect samples to test for mislabeling. Hoping the results will be a tool to learn about DNA, fisheries, and sustainability. Lionfish were introduced off the coast of South Florida in the mid 1980s and have been wreaking havoc throughout the Atlantic, Caribbean, and Gulf of Mexico ever since. Fortunately, locals are fighting back. 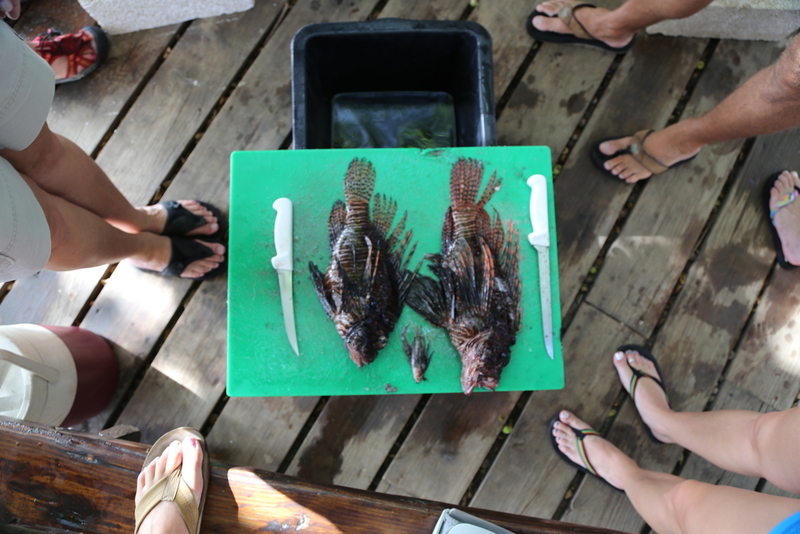 The Lionfish Project follows divemasters, chefs, scientists, and fishermen as they protect their native ecosystems from this invasive predator. The Millennial Trains Project takes young people from around the world on a cross-country train journey throughout the States. 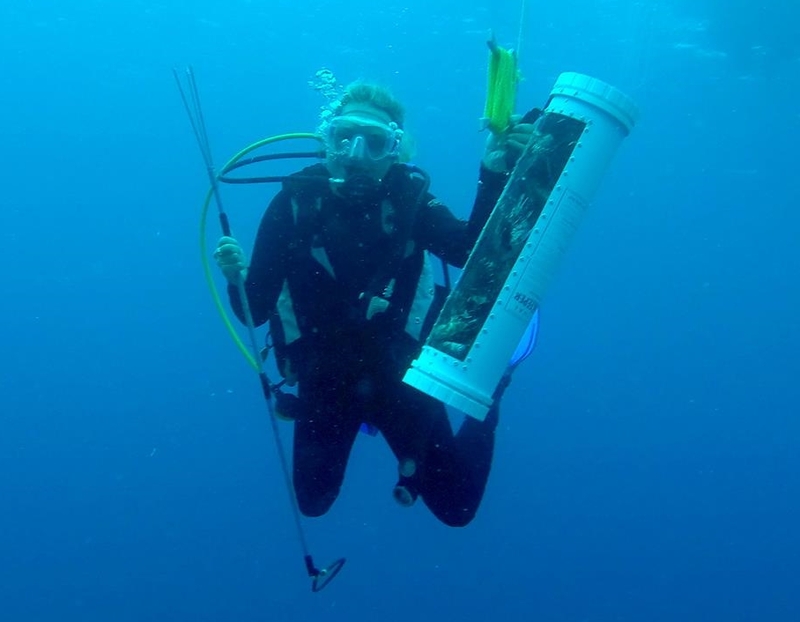 The Invasive Species Initiative goes on board to see community-based management strategies in L.A., San Antonio, Austin, New Orleans, Atlanta, and Washington, D.C.
Fiji is truly a paradise on earth, but is under attack by invasive species. Fortunately, they have many examples of successful community-based management. The Invasive Species Initiative will delve into what they're doing right, and how we can translate those lessons to other invaded regions around the world.